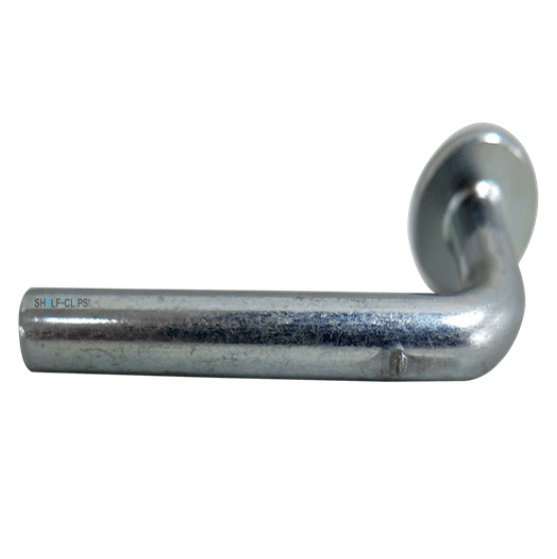 The Universal Pallet Rack Drop Pin is our most popular and versatile product. 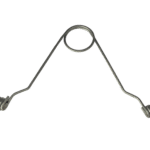 Measuring 3/8″ in diameter, the safety drop pin will fit in any 3/8″ aligning holes. 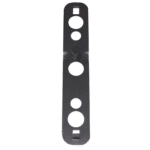 For pallet racking with 3/8″ punch holes, the Universal Drop Pin is almost always our go-to product. 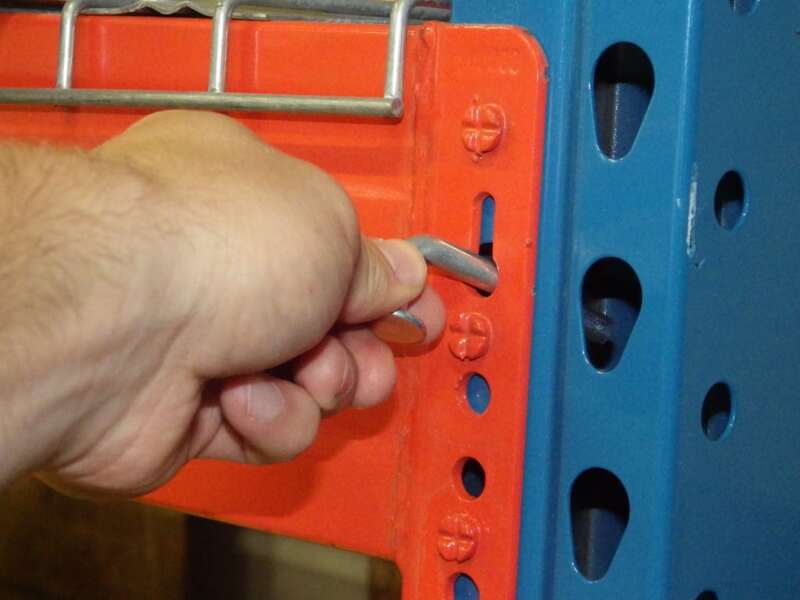 The Universal Pallet Rack Drop Pin provides an easy, cost-effective way to help prevent pallet rack accidents in the warehouse. 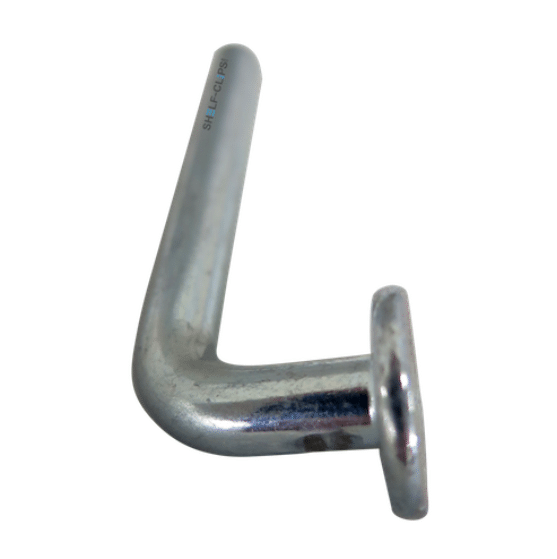 Without safety clips, lift truck operators can accidentally dislodge beams from the racking. This can cause costly damage to product and threaten the safety of personnel. We commonly hear from businesses who installed safety drop pins only after an accident had occurred. 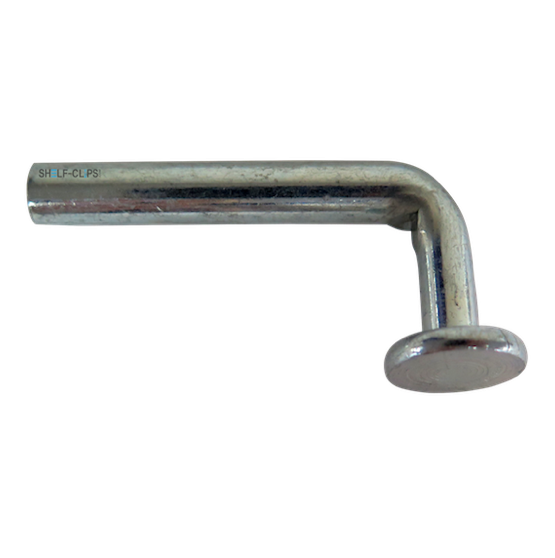 Be proactive and outfit your warehouse with drop pins before an incident takes place. There’s nothing more frustrating than searching the internet for hours without finding the product you need. 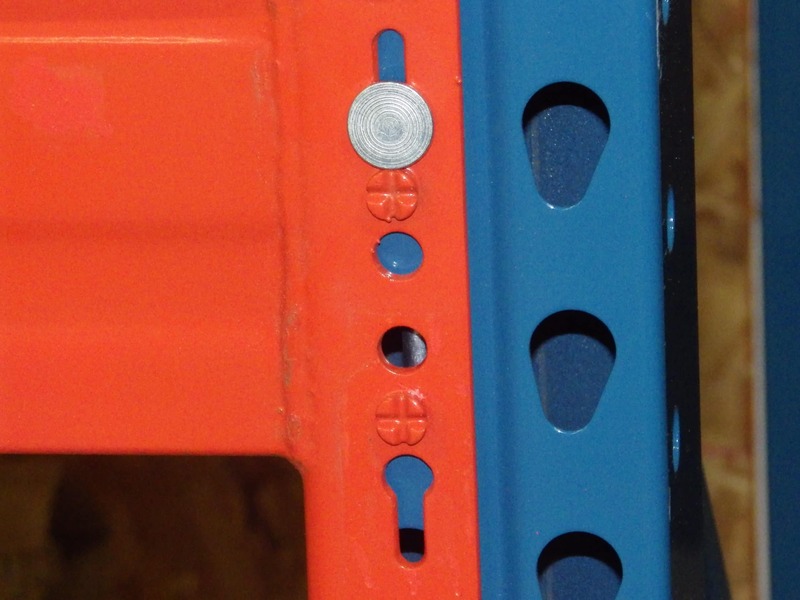 Finding the right pallet rack clips is no exception. The Universal Drop Pin provides our customers with a simple solution to increase the safety in their pallet rack system. With the drop pin, there’s no need to guess which manufacturer the clip is made for. 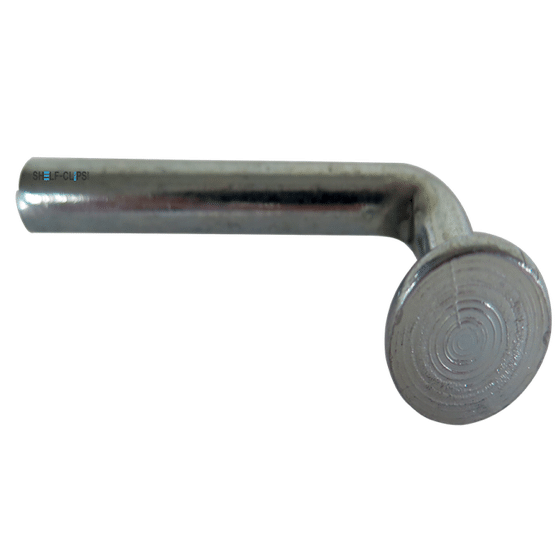 Simply confirm the width of your punch holes and take a step towards a safer warehouse. Will Pallet Rack Safety Pins Work for My Racking? 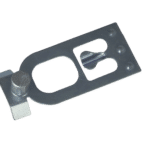 Our Universal Pallet Rack Drop Pin is easy to install, and can provide warehouse managers with a simple solution to increase safety in their rack system. 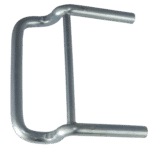 Used rack systems often have missing or damaged safety clips which puts warehouse managers and distribution facilities at risk because pallet rack beam clips are an essential safety component of a rack system. When these clips are missing, rack systems are more susceptible to failure. 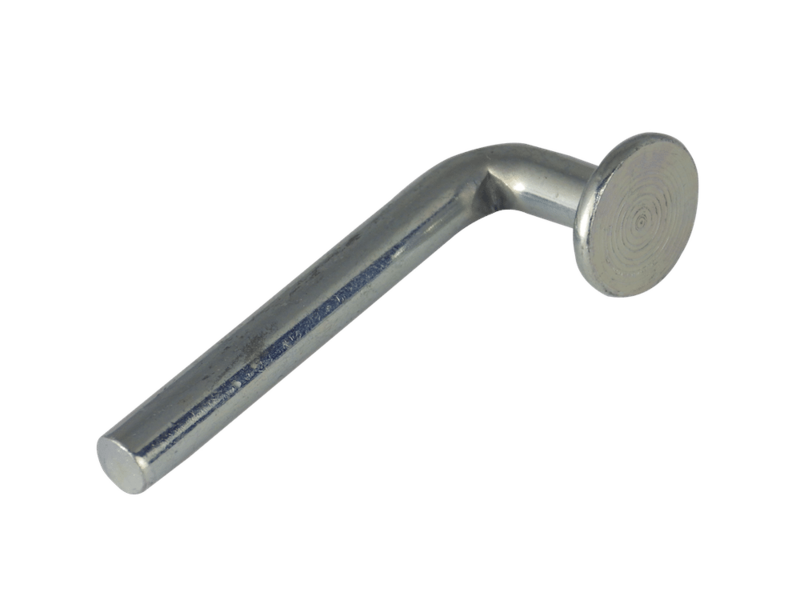 Compatibility is the number one question we get when asked about our drop pins. 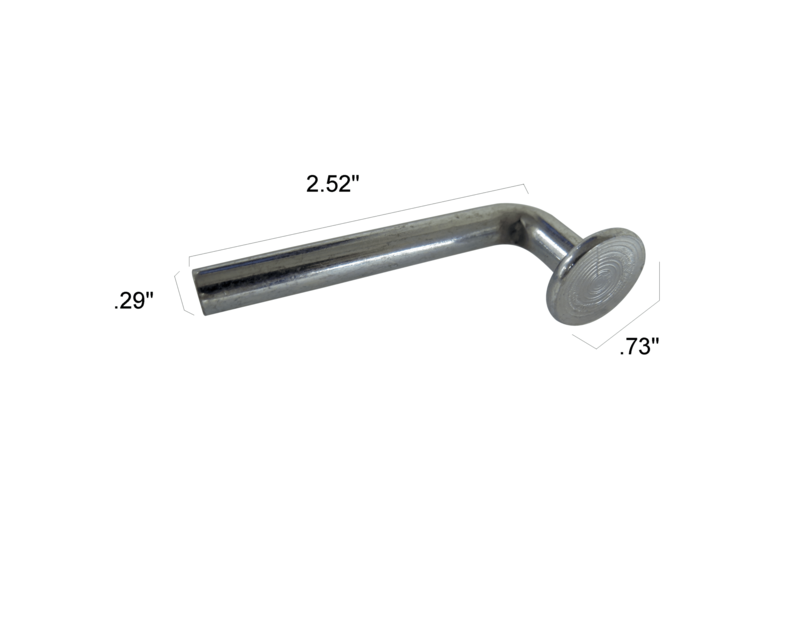 Our drop pins fit 3/8″ wide aligning holes. 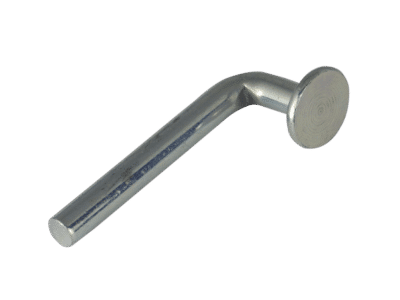 So, if you can find two 3/8” aligning holes in your cross beam and upright frames, these pallet rack drop pins will most likely be compatible with your pallet rack.